As if I’ve not had enough to do this past week, when I arrived home this evening I started the process of seal-coating my driveway. The last time I tackled this job was in 2011 and it is pretty obvious that it needs to be done more often. Either that or I need to buy better materials. And so, tonight I decided to start the job (using better materials). Here’s something that came to mind while I spread the black, tarry substance over my drive. First, you have to prep appropriately. You can’t just slap on the sealer. You have to wash, dry, blow, fill the cracks, spread out the juice and take your time. Second, you have to have good quality product. The higher the grade of sealant and applicator, the better your results. And finally, you have to be patient. Take your time and make sure you’ve covered every part of the surface. Get the goop in the cracks and crevices. Drag your squeegee back and forth slowly to prevent lines and drips. In the end, you get a great looking driveway (look for pictures tomorrow). 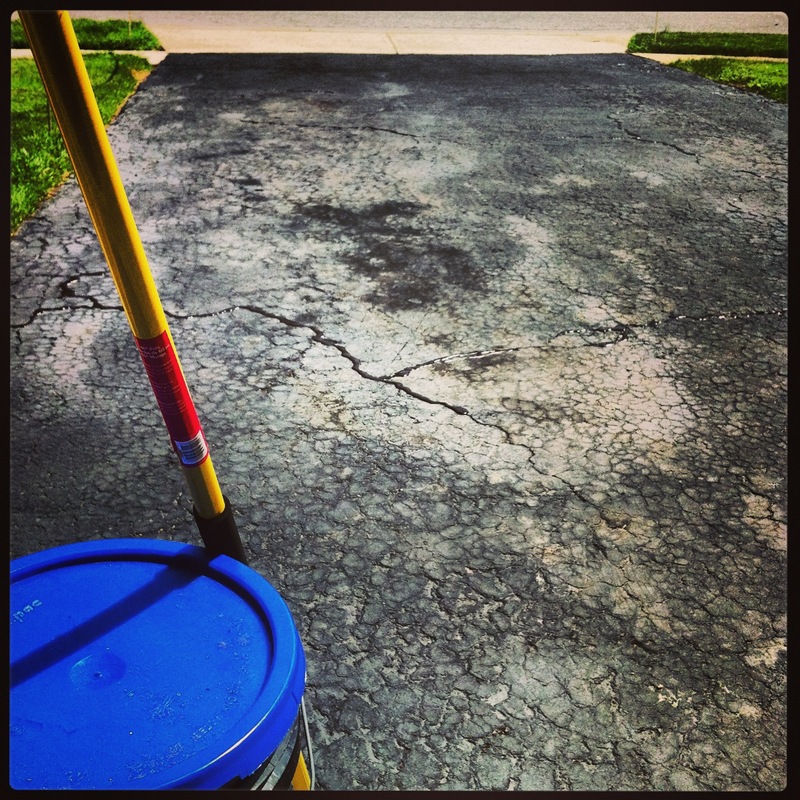 Driveways are challenging…As is life. And the same steps apply to both. Prep yourself for what is next in your life. Don’t just blindly charge forward. Get to know what you can do, where you can go, what you might need along the way. Have your emotional “toolbox” ready for the little challenges that are ahead of you – the seen and unseen. Next, the better your character, the stronger your moral fiber, the deeper you go, the better you will respond to the stresses of life. Sun and heat take its toll on the surface of a driveway. Your life will have plenty of hardships. Face them with grace, strength and courage. If you don’t have those characteristics in your life, find someone who will help you learn how to make them an everyday part of your walk. Finally, slow down. You aren’t in any hurry. You don’t get there in any better shape just because your life is on fast forward. Allow water to find its level. Stop and smell the asphalt (or roses…whatever is your fancy). Pet the dog. Hug your wife. Smile at your children. The slower you go, the less you will miss in the end. There. A perfect driveway and a life lesson. Not bad for an evening’s work. I’m so very proud of my son. This was a great way to end his high school band career. He was given the opportunity to spend time along side amazing and talented teachers and I am so thankful all those who made it possible. It will be an experience that he will never forget.